GUNS N' ROSES have announced today that they’ll be doing their first US tour in five years, kicking off October 28th in Orlando, Florida. The band will perform more than 30 concerts in the US – fueled by Monster Energy - from October to New Year’s Eve. Before hitting the states, GN'R will tour Latin America, starting with a sold out, headline slot for the closing day of the Rock In Rio festival in Rio de Janeiro, Brazil on October 2nd, for 75,000 fans. Guns N’ Roses are Axl Rose, DJ Ashba (guitar), Dizzy Reed (keyboards), Tommy Stinson (bass), Richard Fortus (guitar), Ron “Bumblefoot” Thal (guitar), Chris Pitman (keyboards) and Frank Ferrer (drums). GN'R spent most of 2010 touring the globe, performing 71 shows in over 30 countries. The two and a half hour show played to rave reviews everywhere including South America, Canada, Europe and Southeast Asia, playing close to one million fans worldwide. Axl Rose started Guns N’ Roses over 25 years ago. Since that time, they have become one of the biggest bands in music history, selling over 100 million albums worldwide. GN'R's Appetite For Destruction has sold over 28 million albums in the United States alone. The band’s most recent release, Chinese Democracy debuted #1 on the charts in thirteen countries. 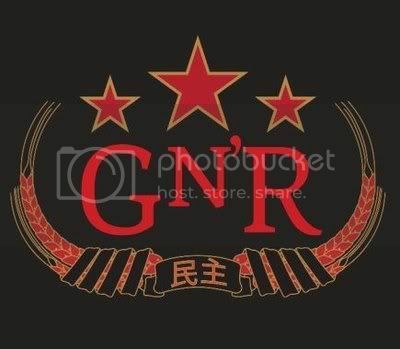 Chinese Democracy was released on Black Frog/Geffen Records in November 2008 and reached 3 times Platinum in Canada, Platinum in Czech Republic, Finland, Germany, Ireland, Italy, Norway, Poland, Romania, Switzerland, UK, Argentina, New Zealand and South Africa. The album is Gold in Austria, Belgium, Denmark, France, Greece, Hungary, Holland, Sweden, Indonesia, Japan, Malaysia, Singapore, Taiwan, Thailand, Brazil and Colombia. In the US, the album was certified platinum by the Recording Industry Association of America (RIAA) on February 3rd, 2009. More dates, cities and venue information will be announced very soon.